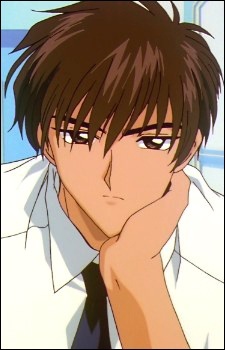 Touya is the brother of Sakura Kinomoto. His birthday is on February 29th, which makes him a leap year baby, a person that can only "properly" celebrate their birthday once every four years. He holds the belief that as Sakura's older brother, he is the only person entitled to make fun of her, a belief that his best friend Yukito Tsukishiro refers to as a "sister complex." However, he is also protective and caring of her, which leads him to dislike Syaoran Li when he finds Syaoran cornering Sakura in the schoolyard. Though Syaoran and Sakura eventually stop fighting, Toya continues to dislike Syaoran when he becomes friends with Sakura, knowing that Syaoran will eventually take Sakura away from him. He is a perceptive young man and has had a vague idea as to what Sakura has been up to as a Cardcaptor, despite Sakura's attempts to keep it a secret.